Single gates in and side gates in are much the same. However security is usually the main factor when ordering side gates. The higher the gate the harder it is to climb.Here are a few tips when ordering a gate for security reasons. The lock you use must be practical for your individual needs. 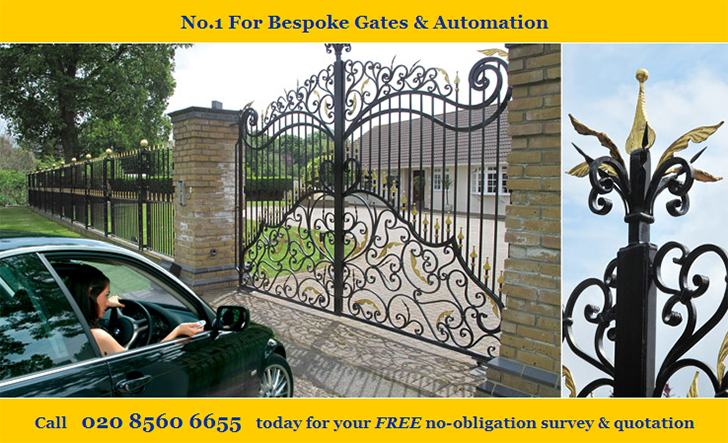 The design of your gate can be aesthetically pleasing as well as secure. For a free site survey or advice, don't hesitate to contact us.